Heat oven to 350 degrees. Coat a 13x9-inch baking pan with cooking spray. In a large mixing bowl, using a mixer on medium speed, beat together butter and sugar until creamy - about 1 minute. Beat in eggs and vanilla until combined. Beat in flour mixture, alternating with buttermilk and water until just combined. Place batter in pan. Bake 25 minutes or until middle of cake springs back when lightly touched. Cool completely on a wire rack. To make the whipped cream, beat together cream and 3 tablespoons sugar, in a large bowl, using a mixer on high speed, until stiff peaks form. Spread whipped cream over cooled cake. 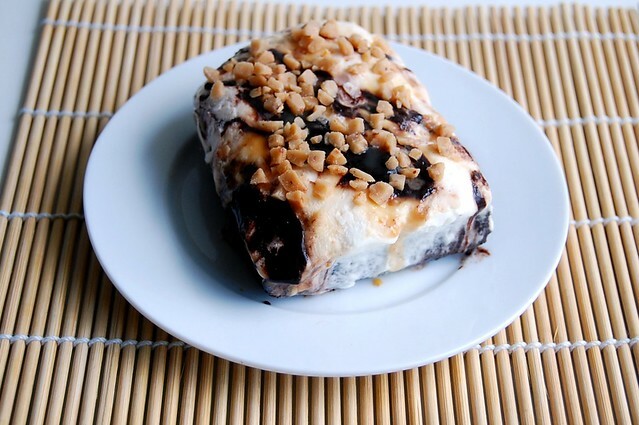 Drizzle with hot fudge and caramel syrup. Sprinkle with toffee bits. Refrigerate until ready for use. 27 comments on "Heath Bar Cake"
I have the same cherry pitter you received and it's doing well, I made some cherrie jam! This cake looks perfect, in all points, yummy! Happy birthday (I'm a little late, i know)! That cake = AMAZING. Your photos = amazingly fun. This looks sooo good. My boyfriend would LOVE this. Bookmarked! This must have been such a great birthday! Ans what a cake! It's mouthwatering! Your new bangs and your hair in general is so cute!! Way to go girl. And my dad absolutely loves anything heath, and that cake looks super easy. I'll be in the kitchen if you need me! what an awesome cake! and happy belated birthday :) can't wait to see your cake!! oh how I love toffee! I must make ASAP! I'm glad you had a fabulous birthday!! This cake certainly looks like the perfect way to celebrate -yum! The bar cake looks super delicious! I showed a couple of pics to hubby and now I suspect there is no getting out of making it. Thanks for sharing and happy belated birthday!! I'm glad you had an awesome birthday! Your cake sounds fabulous. 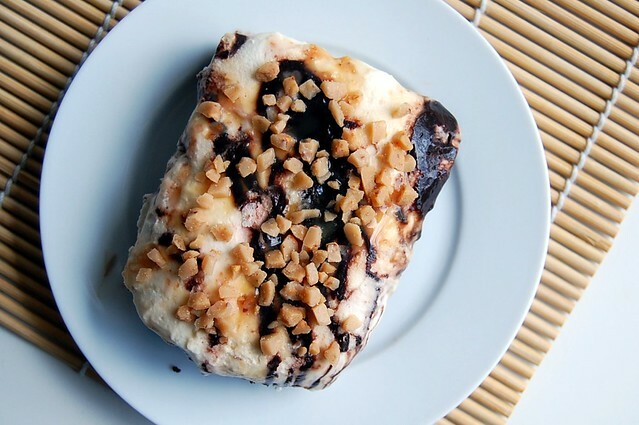 And I absolutely adore Heath bar, so I will definitely have to try this. Unfortunately, the bag of Heath bits I found apparently now contains a huge blob of .. Heath. Because the chocolate melted and joined to form a massive heath thing. Cool. But I can chop it up! Bahaha. And use them in this cake. What a fun birthday you had :) I will admit that I have a love/hate relationship with KFC. I love their biscuits but if I eat too much of their chicken my stomach always hurts. However, I think I could eat a few slices of that cake and my stomach would be just fine :) It looks amazing! Glad you had a fun birthday. Very nice pink fishing pole! Yummy looking cake. That chocolate looks to die for. KFC is perfectly acceptable when you need a fried chicken fix. When I was a kid those mashed potatoes were the only potatoes I would eat! At first I thought this said "Health Bar Cake." Definitely, definitely not. Looks so good though! 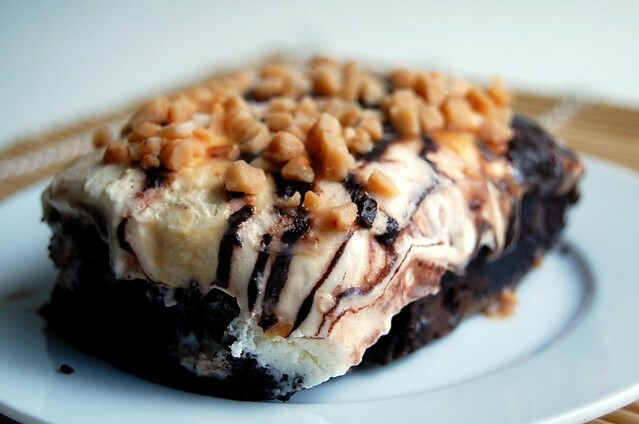 Would you believe that I don't know what a heath bar is!!? Haha - it must be American. I think that cake looks pretty fantastic though! your sister and I have the same birthday!! Looks like a great cake! And a great birthday celebration too. 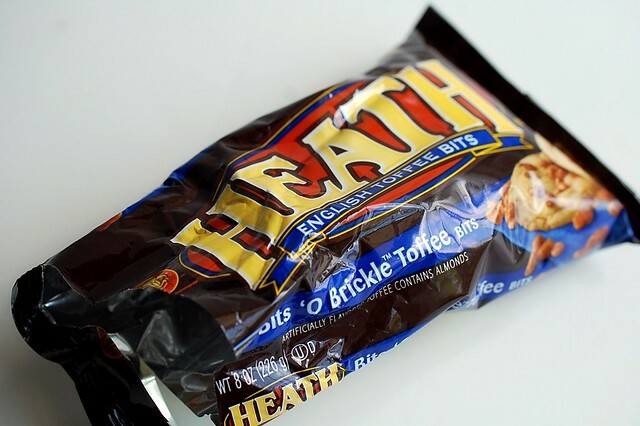 Heath used to sell toffee bits that were cut-up Heath bars, with the chocolate on them too. But now it's just the toffee, so I buy the bars (or Skor bars) and cut them up to use in baking. Call me old-fashioned, but I miss the chocolate on them! Happy belated birthday! I love that you celebrated with KFC - these bars look YUM too. 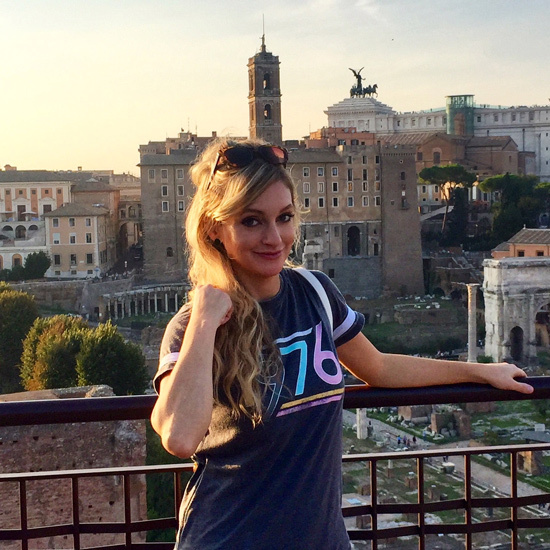 Have a wonderful weekend, Emily! Can I just tell you how much I've been craving KFC lately??? Happy belated birthday, dear! 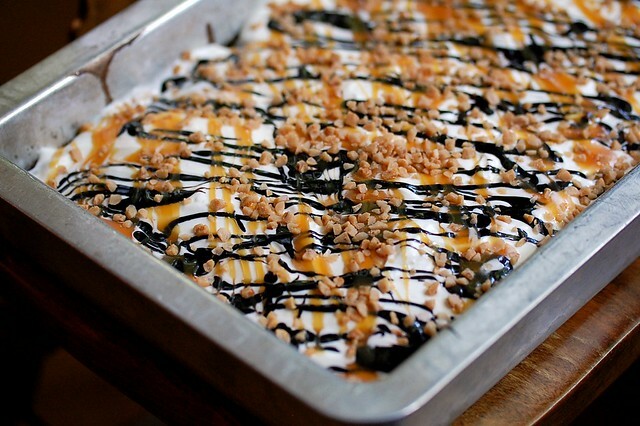 I love me some toffee, so cannot wait to try this cake out myself. Thanks everyone! Sorry for the delayed response; we've been in Chicago! Alex, I think I need a pink fishing vest! 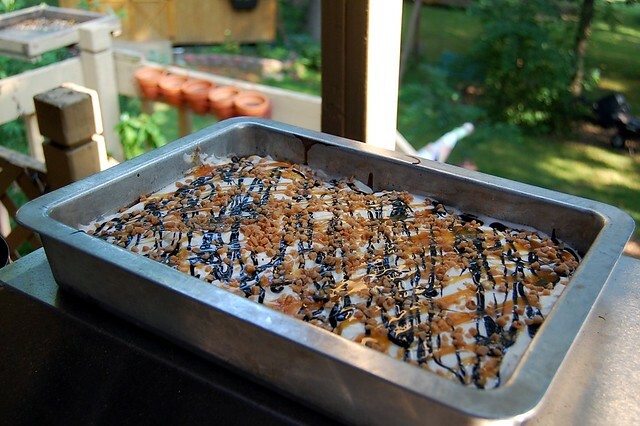 I LOVE toffee and this looks delicious!